Whilst re-organising my blog, I thought I would post a few photos of some flowers and insects, all of which were taken locally in the last few weeks, including this very common, but often much overlooked, daisy. 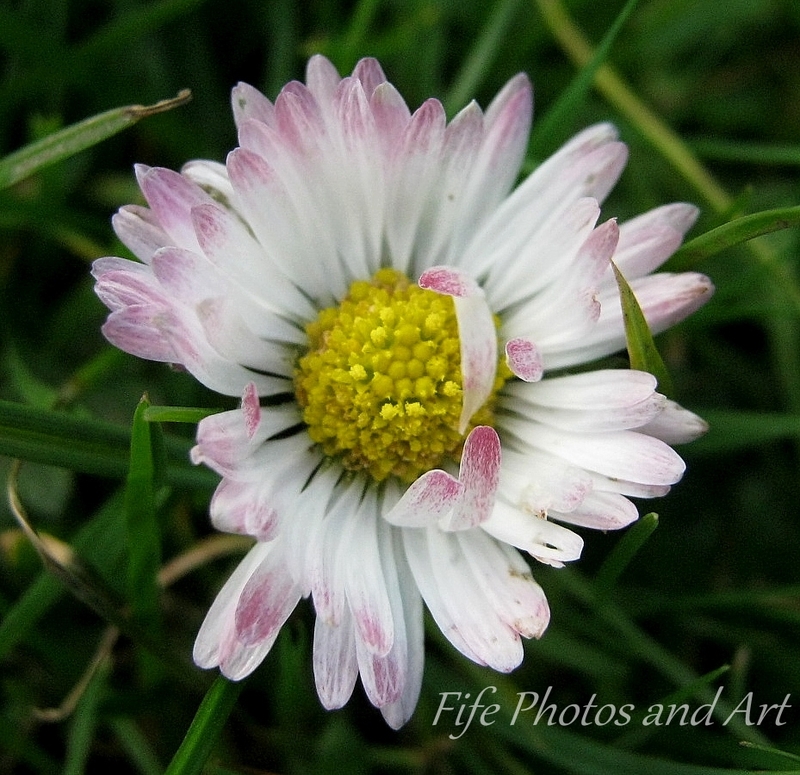 This entry was posted in Fine Art Photography, Wildlife and tagged Balbirnie House Park, daisy, Fife, Glenrothes, Scotland, wild flowers. Bookmark the permalink. Lovely, daisies are always a delight. Thank you Lorna 🙂 And yes, daisies are a delight that many people don’t pay enough attention too. Our family love daisies. We had our garden re-landscaped two years ago, and new grass/turf put in. We then lost no time in planting plugs of wildflowers in it, most particularly daisies because we felt the whole point of a lawn is to enjoy the daisies (and clover). Oh, and Andy, I would love it if you have a moment to provide some more info on your fabulous contribution photography of the Bronze age stones in Cornwall on the MMPhoto post. I, for one, would be interested in hearing about it from your point of view. That’s very true, they are a pretty flower. This is beautiful! 🙂 (you may have noticed I skipped swiftly past the spider 🙂 ). LOL!!! I did worry a wee bit about posting a photo of a spider, I know a lot of people really don’t like them. One of my favourite photographers (have you come across Sonel- she’s brilliant?) often focuses on the insect world but I much prefer her Vervet monkeys and flowers.